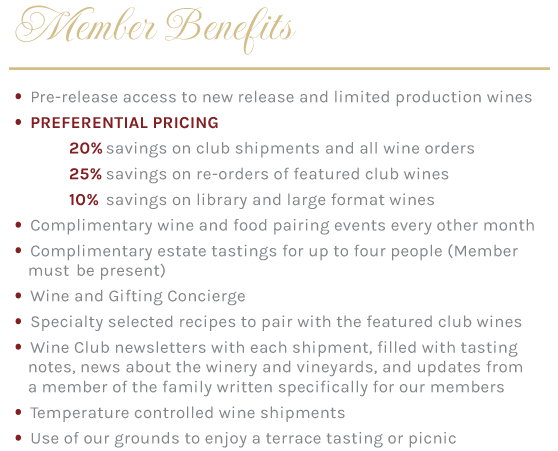 For those who love the benefits of membership and the ability to select their own wines, we offer the Independence club. We will have two pre-selected wines that we are featuring that month as a recommendation. Prior to shipments you will receive an email asking you to update your wine selections. Features a selection of hand crafted Monticello Vineyards and CORLEY wines selected by the family for your enjoyment. Members will receive four bottles; two bottles of each featured new release wine every other month. *Available as a "reds-only" option here. 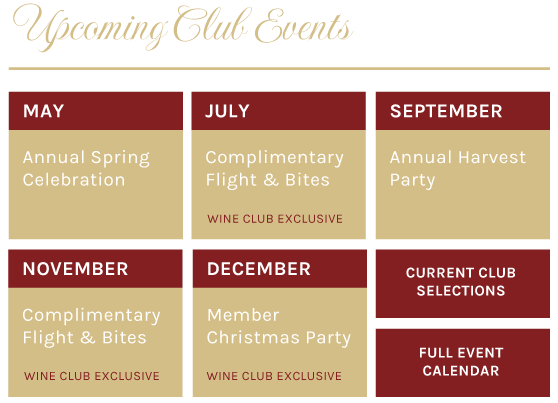 Shipped in the Summer months, this club features our light wines. We have light wines to fit everyone's palate from our dry and light Rose to our buttery Chardonnay. This club is perfect for you entertainers, BBQ goers, and pool party enthusiasts. 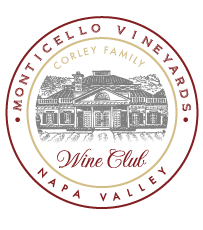 The Library Wine Package offers access to scarce vintages of Moticello and CORLEY wines. Each year, we select two wines from our cellar that have been aged to perfection to feature. Members receive two bottles of each of our featured library wines.